Some medical experts believe the nutritional supplement known as folic acid can play a significant role in preventing serious birth defects. This member of the B vitamin family is thought to curtail and/or prevent incidents of neural tube defects, commonly abbreviated as NTDs. The following brief article discusses this pre-natal medical condition, its causes, the keys to prevention, as well as how the noted dietary supplement can combat the problem. Neural tube defects are maladies that occur in the brain, spine or within other parts of an unborn child’s nervous system. 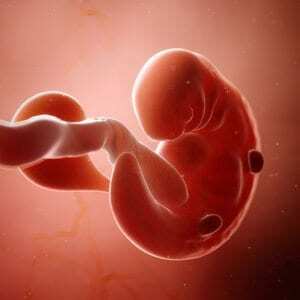 Typically, these abnormalities begin no later than a month or so into a woman’s pregnancy. NTDs are so named because the damage that ultimately results starts in what is known as the neural tube, a structure formulated in a fetus that eventually morphs into a newborn baby’s brain, spinal column, backbone and other structures present in the central nervous system. Birth defects occur when this passageway fails to properly shut during any stage of its development. Such a mishap results in the creation of a hole at some point along the structure. The exact location of the abnormality determines what bodily area will be adversely impacted. NTDs are of particular concern because they often occur so early in a woman’s pregnancy that she likely will not experience any symptoms or truly have any idea such a serious problem is developing with her unborn child. In most instances, the only way these defects can be discovered is through diagnostic tests like amniocentesis and ultrasound. There are several kinds of neural tube defects. Arguably, the most common is Spina Bifida, which is a congenital malformation of the spine and spinal cord. This condition can cause stricken individuals numerous health problems such as walking and movement challenges, bladder and bowel control issues and potential developmental disabilities. In anencephaly, the upper end of the neural tube does not close. This condition results in severe brain damage. Babies born with this affliction are often deaf, blind, impervious to pain and, usually survive only a few hours or days. Infants born with this disorder have portions of their brain protruding through their skulls. The resulting long-term health issues can include paralysis, developmental disabilities, facial deformities and sight problems. However, this malformation rarely occurs. This form of NTD causes an infant’s head and spine to be severely bent. In most cases, afflicted babies perish shortly after being born. Scientific researchers believe Neural Tube Defects happen as the result of a combination of genetic and environmental factors, ranging from abnormalities in the mother’s and child’s DNA to less complex, more solvable matters like the particular medications the mother may be taking while pregnant to her diet. Since these defects are often silent, but potentially deadly maladies, prevention is the key. What Role Does Folic Acid Play in the Prevention Of NTDs? Scientists and doctors cannot pinpoint one specific metabolic process that makes the dietary aid vital to the prevention of NTDs. However, the majority of the medical community believes the key to the nutritional element’s efficacy might lie in its ability to foster cell growth and tissue development. Medical professionals recommend women ingest increased levels of folic acid both prior to and during pregnancy through diet and multi-vitamin preparations. Fortunately, the chemical is plentiful in a number of different foods including bread, rice, cereal, pasta, leafy green vegetables, beans, asparagus, citrus fruits, peanuts and orange juice.